Nach Informationen aus dem Umkreis der NSA werden nunmehr wohl alle deutschen Putin-Unterstuetzer erfasst und beleuchtet. Anlass ist das Wirken von Ex-Kanzler Gerhard Schroeder fuer Putin und die Mueller Untersuchung der Russland Kontakte von Trump. Earlier this month we learned the name of a second person who stole top secret documents from the US National Security Agency (NSA). 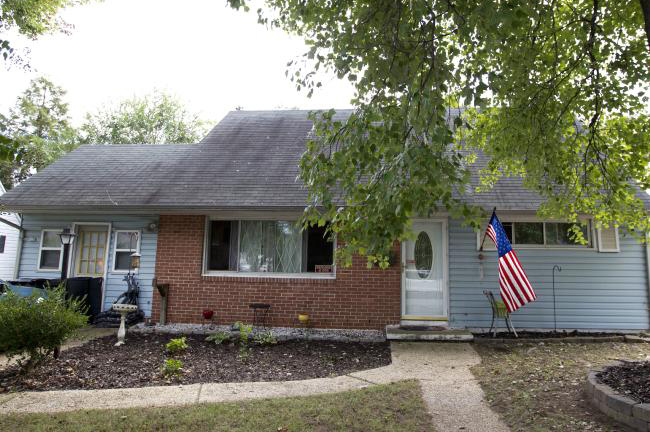 After Edward Snowden admitted doing so publicly in June 2013, the FBI has now arrested the 51-year old Harold T. Martin III at his home in Maryland. Martin hoarded lots of classified documents, not only from NSA but also from a number of other military and intelligence agencies. The FBI is still comparing them with those from the recent Shadow Brokers leak and a range of other NSA leaks from the past few years, but given what’s known now, it seems likely that at least one other leaker is still at large. The New York Times reported that when the FBI raided Martin’s house on August 27, they found paper documents and many terabytes of highly classified information, even going back the 1990s. At least six documents were from 2014. It was reported that Martin first took the classified documents on paper, later on CDs and more recently on thumb drives. The reason why Harold Martin brought home and stored such large numbers of top secret documents isn’t yet clarified. One suggestion is that he may have used them forresearch for his dissertation about “new methods for remote analysis of heterogeneous & cloud computing architectures”, which he was working on at the University of Maryland. It should be noted that not everything Martin stole comes from NSA. In the official charges there are no names of the agencies where the documents come from, they are only described as highly classified, including ones that are marked as Top Secret and Sensitive Compartmented Information (SCI). With the documents going back to the 1990s, he may well have started hoarding them from the places where he worked in those days. From 1987 to 2000, Martin served at the US Navy, achieving the rank of lieutenant, but he left active duty in 1992. As the Washington Post found out, he then took a variety of tech jobs with government contractors, like at Computer Sciences Corp. (CSC) somewhere in the 1990s and later, until 2009, at Tenacity Solutions, for which he worked at the Office of the Director of National Intelligence (ODNI). In 2009, Harold Martin started to work for Booz Allen Hamilton, for which he was a contractor at NSA from 2012 to 2015, when Booz transferred him to the Pentagon’s Office of Acquisition, Technology and Logistics (AT&L), which is responsible for often highly sensitive and classified procurement programs. There he stayed until the moment of his arrest last August. Officials have meanwhile said that Martin took classified documents not only from NSA, but also from his other workplaces, including ODNI and AT&L. It’s interesting as well that in the charges against Martin, a whole paragraph is dedicated to the at least six documents from 2014, which are described as being produced “through sensitive government sources, methods, and capabilities”. As signals intelligence is traditionally seen as the most sensitive capability, maybe just these six documents are from NSA. After the “Shadow Brokers” disclosed a large set of secret NSA hacking tools last August, the FBI began investigating this leak. 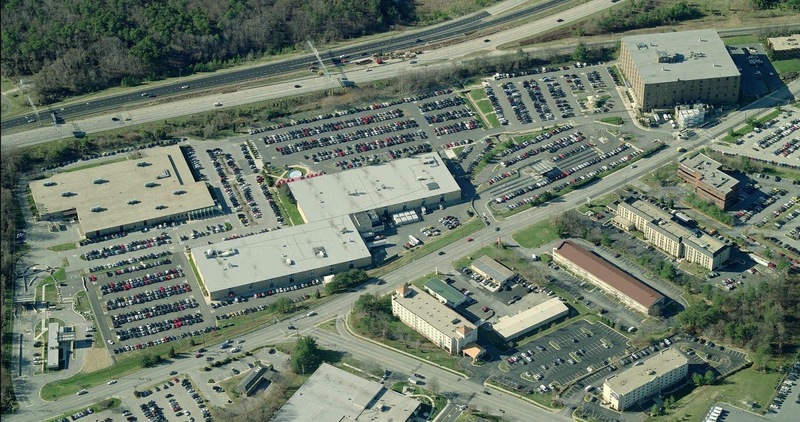 At the same time there was a lot of speculation: was NSA hacked from the outside? Had an NSA hacker been sloppy? Were the tools leaked by an insider? 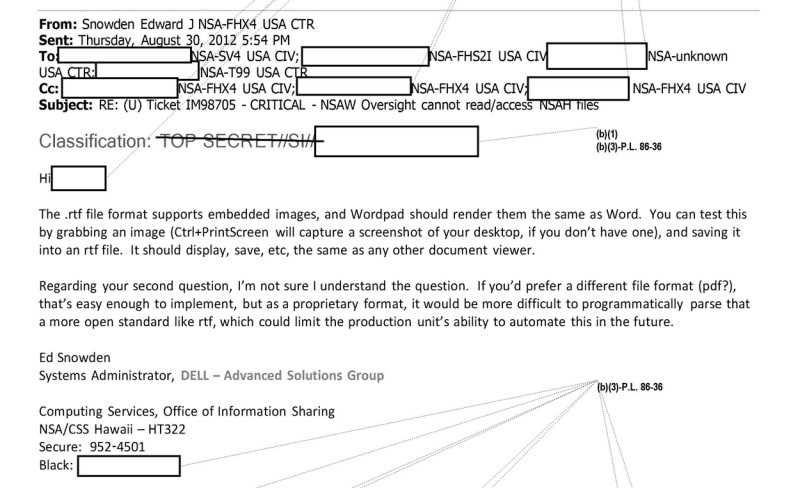 Maybe the same insider responsible for earlier leaks that hadn’t been attributed to Snowden? On September 22, it was reported that during the FBI investigation, NSA officials had said that a former agency operative had carelessly left the hacking tool files available on a remote computer, where Russian hackers found them. If that’s correct, then it seems likely that the FBI traced Harold Martin when they were looking for that careless NSA hacker. It has not yet been confirmed that Martin was that person though. Even if Martin was the man who left the hacking tools exposed, then we still don’t know who found them and published them under the name Shadow Brokers. It’s not very likely that this was done by Martin himself, as Shadow Brokers published additional messages on August 28, October 1 and October 15, when he was already in custody. The actual publication can therefore be the work of for example Russian, Iranian or North Korean hackers or even independent hacktivists. Could Harold Martin also be the source of earlier leaks, that were not attributed to Edward Snowden? In theory he could have been that “second source” next to Snowden: none of these other leaked documents (like the TAO catalog, XKEYSCORE code, tasking lists and end reports) are newer than 2015, when Martin left NSA. Contrary to this Martin is described as very patriotic, which doesn’t fit the fact that these particular leaks were clearly meant to harm and embarrass the US and NSA. Also, Martin hasn’t (yet) been charged with espionage or the attempt to provide classified information to a third party or a foreign government – which doesn’t seem something the US government would leave out or keep secret after the recent and unprecedented statement in which the Office of the Director of National Intelligence accused Russia of hacking the Democratic National Committee (DNC) and other political organizations. Should the FBI investigation confirm that Harold Martin was only responsible for leaking the NSA hacking tools (after which unknown others published them) and that none of his documents were provided to foreign intelligence agencies or showed up in the earlier revelations, then there’s most likely yet another leaker from inside NSA. The Shadow Brokers leak standing alone and not related to the earlier non-Snowden leaks is of some importance, because only among the stuff published by the Shadow Brokers there are files with a date (October 18, 2013) after the day that Snowden left NSA (May 20, 2013). This means that when Harold Martin is the initial source of the Shadow Brokers files, we can no longer exclude the possibility that the earlier leaks do come from the Snowden trove. If that would be the case, then someone with access to them went rogue and had them published on his own account. But it should also be noted that both Glenn Greenwald and Bruce Schneier explicitly said that some of these leaked documents did not come from Snowden. 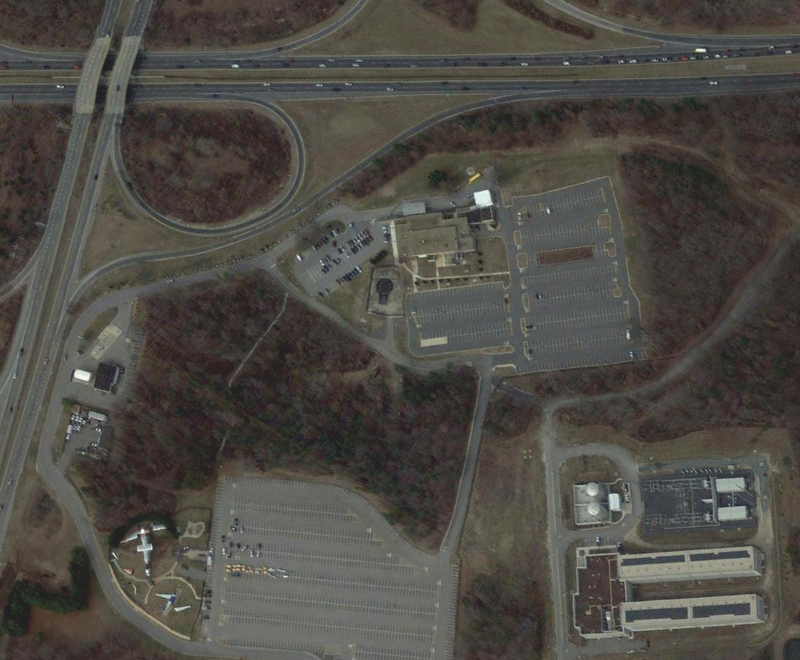 The NSA’s hacking division TAO, where Harold Martin worked for some time, isapparently not located in the well-known NSA headquarters building at Fort Meade, but in one or more leased office buildings outside, one of them at an office complex calledFriendship Annex (FANX) near Baltimore. 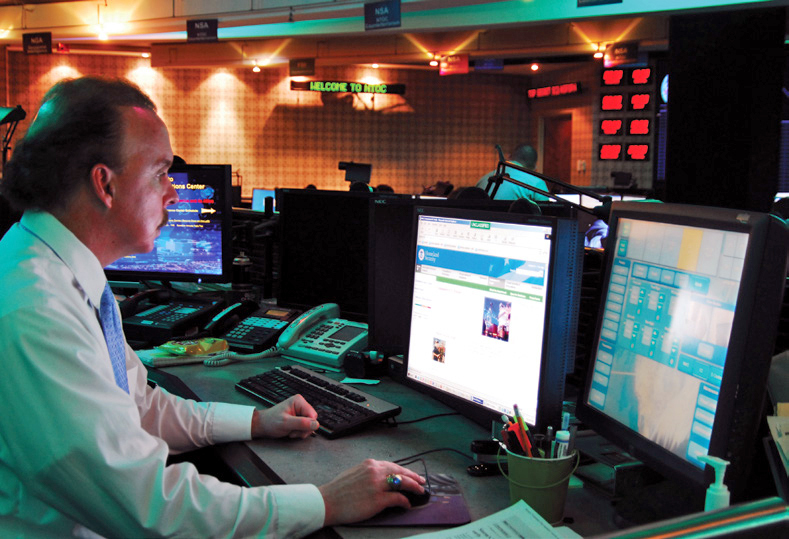 TAO also has units at NSA’s four Cryptologic Centers across the US. Entrance to the highly secured TAO headquarters building is strictly controlled: one has to go through an imposing steel door, protected by armed guards, and entrance is only possible after entering a six-digit code and passing a retinal scanner to ensure that only specially cleared individuals are allowed in. Such security measures are more aimed at keeping outsiders out, than at insiders in. And when it comes to finding inside moles of hostile foreign intelligence agencies, the NSA is also said to have a rather bad track record. The Manning and Snowden leaks made NSA painfully aware of this and so preventive insider-threat detection programs were put in place. It’s not clear whether these new systems failed in the case of Harold Martin, or that they simply weren’t yet implemented at the TAO location where he worked – anti-leak software that was designed by Raytheon to “spot attempts by unauthorized people to access or download data” was also not yet installed at the NSA facility in Hawaii when Snowden was working there. Tracking what employees are doing inside is one thing, checking what they take out is another. But according to The Washington Post, the NSA (like other agencies) does notimpose universal checks of personnel and their belongings as they enter and leave agency buildings. Security guards only conduct random checks and use their discretion in order to keep en build the trust of the employees. “If you have a bag full of stuff, you’re probably going to get stopped” said a former TAO operator to the Post, but, in general, “Disneyland has more physical security checks than we had”. Additionally, NSA facilities will have detection gates, but it seems that it was easier for Snowden to walk out with his thousands of documents than many would have thought. 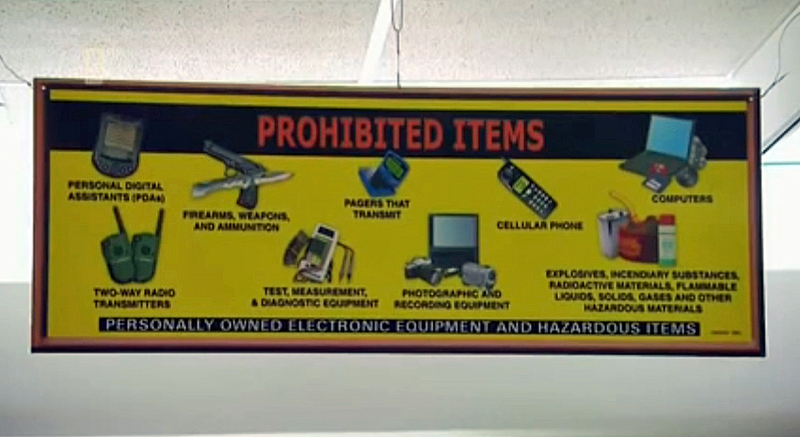 showing what kind of items are not allowed in. Harold Martin stole a lot of classified documents from multiple military and intelligence agencies where he worked over the past 20 years, with maybe just a small number from NSA. The still ongoing FBI investigation has to make clear whether Martin was responsible for exposing the TAO hacking tools. If not, then there has to be yet another careless NSA employee, but then it’s also still possible that the hacking tools came from a source responsible for a range of earlier leaks. So far it seems that Martin isn’t the source of those earlier leaks, which means that the so-called “second source” is still at large. The case of Harold Martin also made clear that security measures at NSA, and other US agencies, were not as strict and tight as outsiders would have expected: even for someone without a strong ideological or financial drive like Martin it was apparently not that difficult to regularly walk out with top secret documents. Many things have not yet been confirmed or clarified, but at least the Shadow Brokers leak and the subsquent arrest of Harold Martin created more awareness among the American public of the fact that there have been more leaks than just those from Snowden. In August 2014, Bruce Schneier was probably one of the first who identified a second and a third leaker besides Snowden. Many more similar leaks followed and a full listof them was compiled on this weblog in December 2015 (still being updated). As an excerpt of this listing, a short overview of the most important non-Snowden leaks was published in The New York Times last week. Shortly after this blog posting was published, The New York Times came with a new report saying that the volume of classified documents Harold Martin had in his possesion is larger than those stolen by Edward Snowden and even than those of the Panama Papers from 2015. FBI investigators apparently also found that the TAO hacking tools were among Martin’s documents, but because he is not very cooperative, it is still not clear how they came in the hands of the mysterious Shadow Brokers, who subsequently published them. So far there’s no evidence that Martin was hacked or that he sold information. He seems to have hoarded all these documents in order to get better at his job, as he is described as someone who imagined himself a top spy and an important player in the world of digital espionage. On Thursday, October 20, government lawyers said they would prosecute Harold Martin under the Espionage Act because of stealing classified information. The FBI found the huge amount of 50 terabytes of data at his home, but it is not yet clear how much of that is classified. Also foundwere “hard-copy documents that were seized from various locations during the search that comprise six full bankers’ boxes worth of documents” with “Many of the documents marked ‘Secret’ and ‘Top Secret,’ also bear special handling caveats. The information stolen by the Defendant also appears to include the personal information of government employees”. – John Schindler: Has the Russian Mole inside NSA finally been arrested? – New York Times: N.S.A. Suspect Is a Hoarder. But a Leaker? Investigators Aren’t Sure. 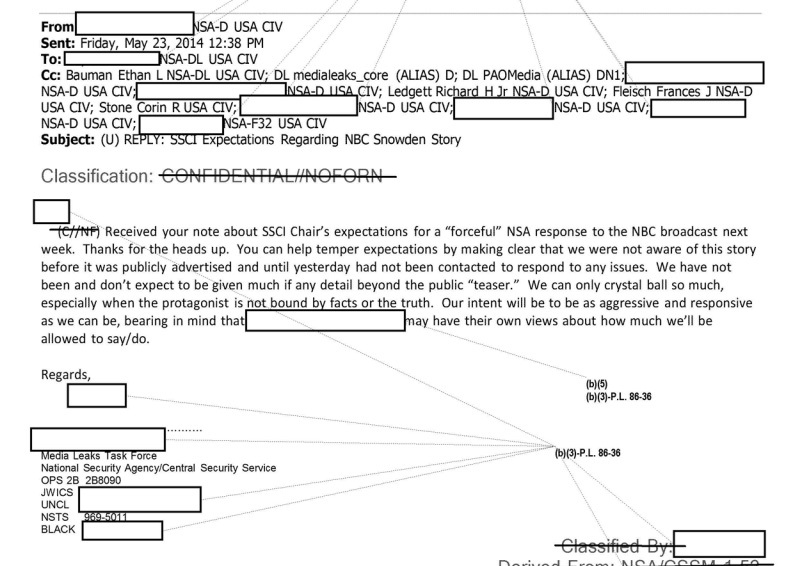 Earlier this month, the NSA declassified a huge set of internal e-mails, following FOIA-requests about the issue of whether Edward Snowden had raised concerns about the NSA’s surveillance programs through proper channels inside the agency. 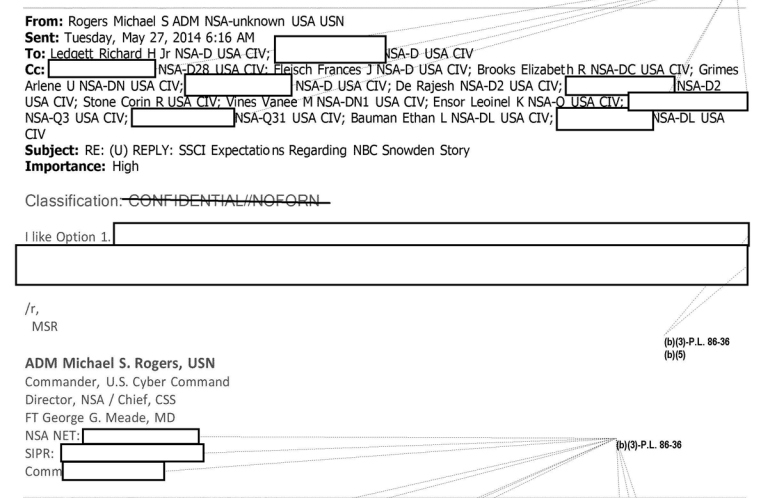 Here, we will take a look at the administrative details these internal NSA e-mails provide. Next time we will see what their content says about the concerns that Snowden claimed to have raised. Except from the classification markings, the NSA’s internal e-mails aren’t very different from those exchanged by most other people around the world. But they do show for example some details about the internal communications networks of the agency. For e-mail, all NSA employees have display names in a standardized format: first comes their family name, given name and middle initial, sometimes followed by “Jr” or a high military rank. Then follows “NSA” and the proper organizational designator, then “USA” for their nationality and finally “CIV” for civilian employees, “CTR” for contractors, “USN” for Navy, “USA” for Army or “USAF” for Air Force members. The organizational designator FHX4 is interesting. FH stands for Field station Hawaii, but X4, being unit 4 of division X, is still a mystery. The field station divisions have the same designators as those at NSA headquarters, where there’s also a division X, but so far no document gave an indication what it does. The signature block shows that Snowden worked as a systems administrator for Dell’s Advanced Solutions Group and that he was deployed at the Technology Department of NSA’s Cryptologic Center in Hawaii, more specifically at the Office of Information Sharing. The latter has the organizational designator (F)HT322 and is therefore different from that in Snowden’s display name. In the declassified messages we only see display names, not the actual e-mail addresses behind them. Therefore, only the classification markings on the messages provide an indication on which network they were exchanged. Finally, the signature blocks of some NSA employees also provide a link to their dropbox for sending them files that may be too large for e-mail. Such dropboxes have addresses like “http://urn.nsa.ic.gov/dropbox/%5B…%5D&#8221;. – STE, which stands for Secure Terminal Equipment, being a telephone device capable of encrypting phone calls on its own. Telephone numbers can be written in the format (301) 234-5678 or as STE 9876. – BLACK, CMCL or Commercial, which are numbers for non-secure telephones that may also access the public telephone network. They have the regular format (301) 234-5678 and are often marked with “(b)” for “black” (as opposed to “red”) or with “(u)” for unclassified. TIKICUBE appears to be a unit of the Investigations Division Q3. Whether this might be a special unit investigating the Snowden leak isn’t clear though. The abbreviations behind the investigators name are: CFE for Certified Fraud Examiner and CISSP for Certified Information Systems Security Professional. 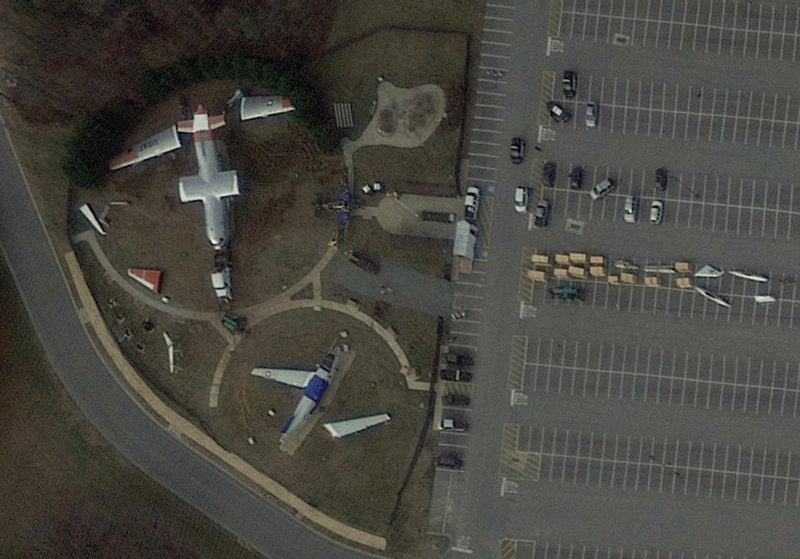 We also see that this investigation division is not located at the NSA headquarters complex at Fort Meade, but at FANX. 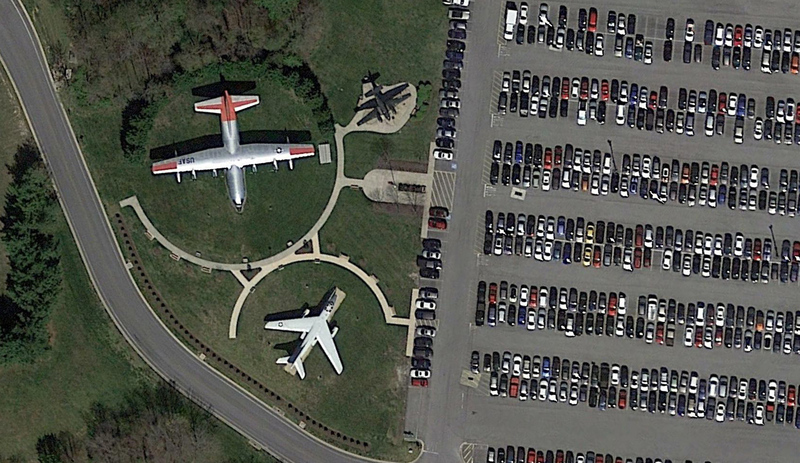 This stands for Friendship Annex, a complex of NSA office buildings in Linthicum, near Baltimore, some 12 km. 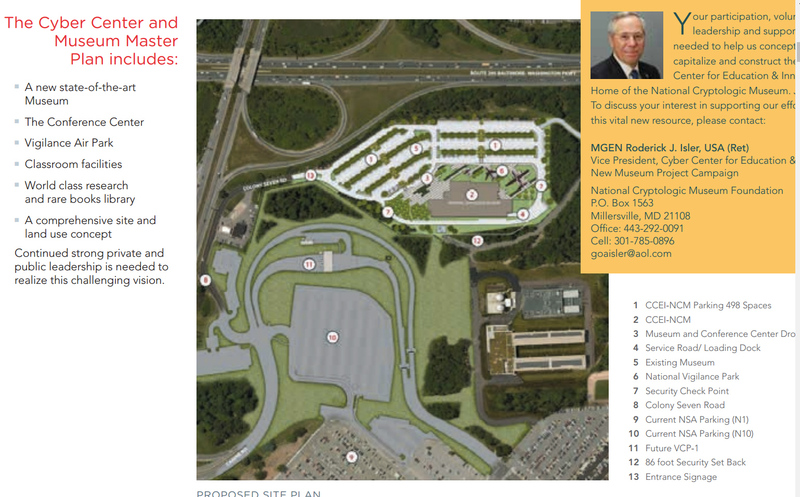 or 7.5 miles north-east of Fort Meade. 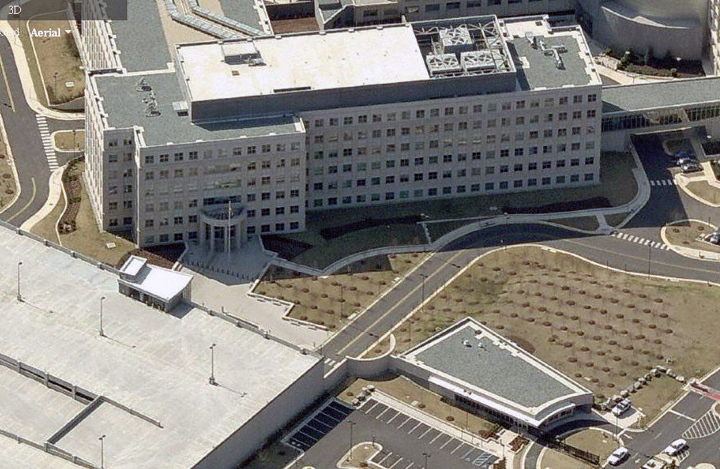 The famous blue-black glass headquarters buildings are OPS 2A and OPS 2B, while the SIGINT division is apparently in the flat 3-story building from the late 1950s, designated OPS 1. NSA – Is the Shadow Brokers leak the latest in a series ? Earlier this week, a group or an individual called the Shadow Brokers published a large set of files containing the computer code for hacking tools. They were said to be from the Equation Group, which is considered part of the NSA’s hacking division TAO. The leak got quite some media attention, but so far it was not related to some earlier leaks of highly sensitive NSA documents. These show interesting similarities with the Shadow Brokers files, which were also not attributed to Edward Snowden, but seem to come from an unknown second source. Since August 13, the ShadowBrokers posted a manifesto and two large encrypted files on Pastebin, on GitHub, on Tumblr and on DropBox (the latter three closed or deleted meanwhile). One of the encrypted files could be decrypted into a 301 MB archive containing a large number of computer codes for server side utility scripts and exploits for a variety of targets like firewalls from Cisco, Fortinet and Shaanxi. The files also include different versions of several implants and instructions on how to use them, so they’re not only the malware that could have been found on the internet, but also files that were only used internally. A full list of the exploits in this Shadow Brokers archive can be found here. Security experts as well as former NSA employees considered the files to be authentic, and earlier today the website The Intercept came with some unpublished Snowden documents that confirm the Shadow Brokers files are real. Besides the accessible archive, Shadow Brokers also posted a file that is still encrypted, and for which the key would only be provided to the highest bidder in an auction. Would the auction raise 1 million bitcoins (more than 500 million US dollars), then Shadow Brokers said they would release more files to the public. This auction however is likely just meant to attract attention. According to security experts Bruce Schneier and Nicholas Weaver the new files aren’t from the Snowden trove. Like most people, they apparently assume that Snowden took mostly powerpoint presentations and internal reports and newsletters, but that’s not the whole picture. 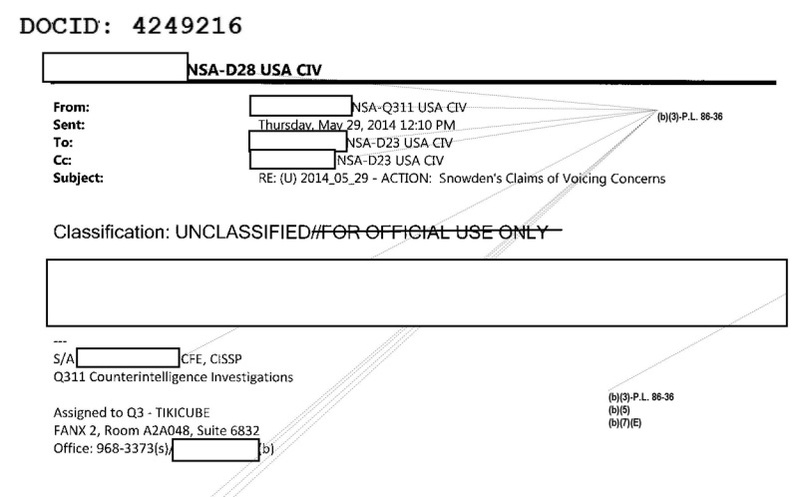 The Snowden documents also include various kinds of operational data, but this rarely became public. Most notable was a large set of raw communications content collected by NSA under FISA and FAA authority, which also included incidentally collected data from Americans, as was reported by The Washington Post on July 5, 2014. The Snowden documents also include technical reports, which are often very difficult to understand and rarely provide a newsworthy story on their own. Someone reminded me as well that in January 2015, the German magazine Der Spiegel published the full computer code of a keylogger implant codenamed QWERTY, which was a component of the NSA’s WARRIORPRIDE malware framework. So with the Snowden trove containing this one piece of computer code, there’s no reason why it should not contain more. Contradicting the option that the Shadow Brokers files could come from Snowden is the fact that some of the files have timestamps as late as October 18, 2013, which is five months after Snowden left NSA. Timestamps are easy to modify, but if they are authentic, then these files have to be from another source. This brings us to a number of leaks that occured in recent years and which were also not attributed to Snowden. These leaks involved highly sensitive NSA files and were often more embarrassing than stuff from the Snowden documents – for example the catalog of hacking tools and techniques, the fact that chancellor Merkel was targeted and intelligence reports proving that NSA was actually successful at that. It is assumed that these and some other documents came from at least one other leaker, a “second source” besides Snowden, which is something that still not many people are aware of. The files that can be attributed to this second source have some interesting similarities with the Shadow Brokers leak. Like the ANT catalog published in December 2013, they are about hacking tools and like the XKEYSCORE rules published in 2014 and 2015 they are internal NSA computer code. This alone doesn’t say much, but it’s the choice of the kind of files that makes these leaks look very similar: no fancy presentations, but plain technical data sets that make it possible to identify specific operations and individual targets – the kind of documents many people are most eager to see, but which were rarely provided through the Snowden reporting. As mainstream media became more cautious in publishing such files, it is possible that someone who also had access to the Snowden cache went rogue and started leaking documents just for harming NSA and the US – without attributing these leaks to Snowden because he would probably not approve them, and also to suggest that more people followed Snowden’s example. Of course the Shadow Brokers leak can still be unrelated to the earlier ones. In that case it could have been that an NSA hacker mistakenly uploaded his whole toolkit to a server outside the NSA’s secure networks (also called a “staging server” or “redirector” to mask his true location) and that someone was able to grab the files from there – an option Snowden also seems to favor. Meanwhile, several former NSA employees have said that the current Shadow Brokers leak might not be the result of a hack from the outside, but that it’s more likely that the files come from an insider, who stole them like Snowden did earlier. Of course it’s easier for an insider to grab these files than for a foreign intelligence agency, let alone an ordinary hacker, to steal them from the outside. But if that’s the case, it would mean that this insider would still be able to exfiltrate files from NSA premises (something that shouldn’t be possible anymore after Snowden), and that this insider has the intent to embarrass and harm the NSA (Snowden at least said he just wanted to expose serious wrongdoings). Here we should keep in mind that such an insider is not necessarily just a frustrated individual, but can also be a mole from a hostile foreign intelligence agency. On Twitter, Edward Snowden said that “Circumstantial evidence and conventional wisdom indicates Russian responsibility”, but it’s not clear what that evidence should be. It seems he sees this leak as a kind of warning from the Russians not to take revenge for the hack of the Democratic National Committee (DNC) e-mails, which was attributed to Russian intelligence. This was also what led Bruce Schneier to think it might be the Russians, because who other than a state actor would steal so much data and wait three years before publishing? Not mentioned by Schneier is that this also applies to the documents that can be attributed to the second source: they are also from before June 2013. A related point of speculation is the text that accompanied the Shadow Brokers files, which is in bad English, as if it was written by a Russian or some other non-western individual. This is probably distraction, as it looks much more like a fluent American/English speaker who tried to imitate unexperienced English. The text also holds accusations against “Elites”, in a style which very much resembles the language used by anarchist hacker groups, but that can also be faked to distract from the real source. With the authenticity of the Shadow Brokers files being confirmed, the biggest question is: who leaked them? There’s a small chance that it was a stupid accident in which an NSA hacker uploaded his whole toolkit to a non-secure server and someone (Russians?) found it there. Somewhat more likely seems the option that they came from an insider, and in that case, this leak doesn’t stand alone, but fits into a series of leaks in which, since October 2013, highly sensitive NSA data sets were published. So almost unnoticed by the mainstream media and the general public, someone was piggybacking on the Snowden-revelations with leaks that were often more embarrassing for NSA than many reportings based upon the documents from Snowden. Again, obtaining such documents through hacking into highly secured NSA servers seems less likely than the chance that someone from inside the agency took them. If that person was Edward Snowden, then probably someone with access to his documents could have started his own crusade against NSA. If that person wasn’t Snowden, then it’s either another NSA employee who was disgruntled and frustrated, or a mole for a hostile foreign intelligence agency. For an individual without the protection of the public opinion like Snowden, it must be much harder and riskier to conduct these leaks than for a foreign state actor. Former NSA counterintelligence officer John Schindler also thinks there could have been a (Russian) mole, as the agency has a rather bad track record in finding such spies. If this scenario is true, then it would be almost an even bigger scandal than that of the Snowden-leaks. On August 21, NSA expert James Bamford also confirmed that TAO’s ANT catalog wasn’t included in the Snowden documents (Snowden didn’t want to talk about it publicly though). Bamford favors the option of a second insider, who may have leaked the documents through Jacob Appelbaum and Julian Assange.